Step 1 Select proper size by measuring circumference from center of chin, over the ear, to posterior of head. Step 2 Place Neotech ChinStrap across chin with indentation facing neck and smooth, white side against skin. Step 3 Position wider, lower portion of split chin strap under chin and upper portion across front of chin. Step 4 Pull strap toward posterior of head with ears positioned inside ear openings and gently fasten hook tab to strap. Side marked “LEFT” should be under patient’s left ear. Note: May be trimmed for proper fit. Ensure that strap is not too tight or pressing on ears. Hook tab should completely overlap strap. Step 5 Replace every 5 days or per hospital protocol, whichever is sooner. Replace immediately if worn or visibly soiled. 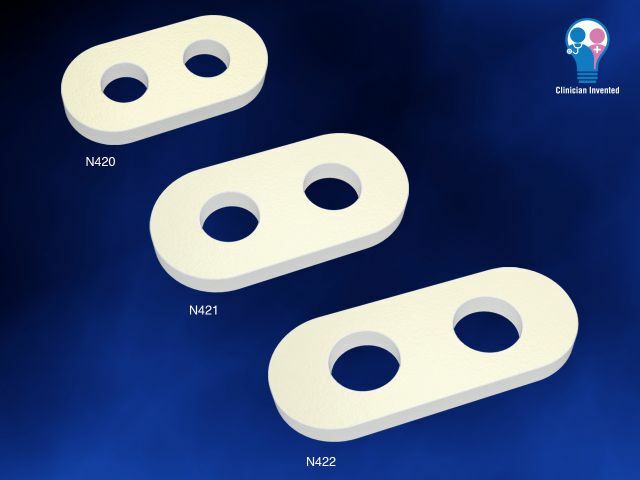 The Neotech ChinStrap is intended to keep a patient’s mouth closed during respiratory therapy. It is intended for use on pediatric (neonates, infants and children) patients. 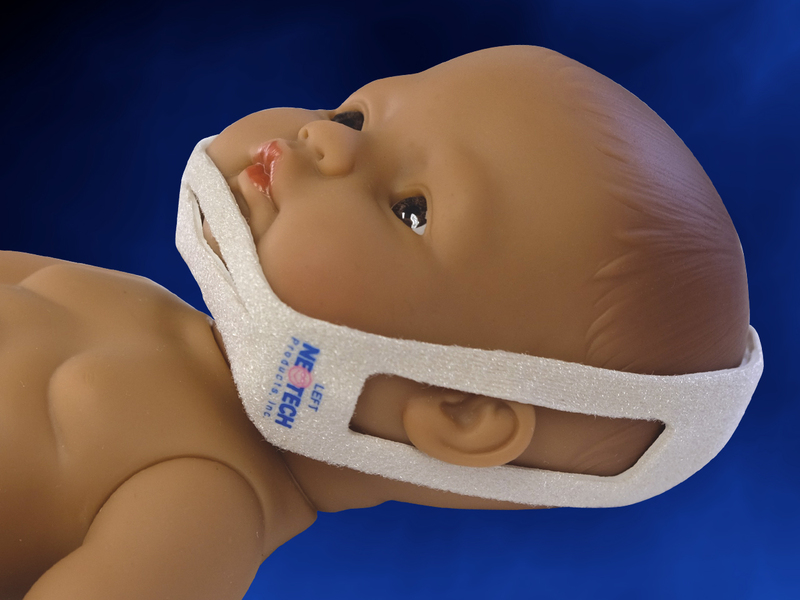 The Neotech ChinStrap is not intended for use on adults.